When you're looking for love, you can only hope to find someone you love as much as bacon. 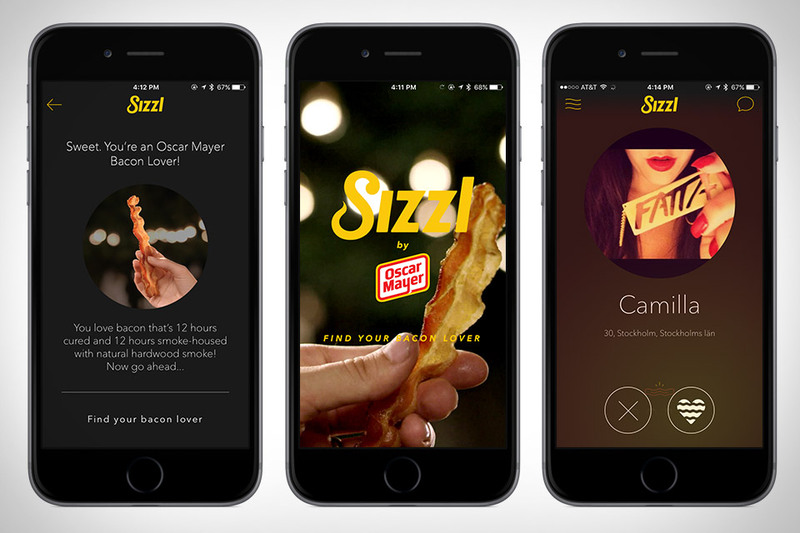 While Sizzl can't guarantee that, it can guarantee your match will love bacon as much as you do. This dating app for bacon lovers comes from the minds at Oscar Meyer, and promises to connect you with other like minded people. Each potential match shows you a profile picture, as well as how they like their bacon, whether they'd grab, offer up, or split the last piece of bacon on a date, and their location. Just hold down the sizzle button to indicate how much you like them, and if they like you back, you'll be notified so you can start chatting, share some bacon, and maybe even find you have more in common than an affinity for cured meats. From the time it first debuted as part of Google Maps, Street View has been one of the mapping world's most interesting features. Now it's got an app of its own. The aptly-named Google Street View lets you explore the world one 360-degree view at a time. It offers a map view for finding places by location, a Gallery for exploring the most popular places on Earth, and even lets you create your own panoramas, either using the camera on your phone, or in a single click with a connected spherical camera. You can then upload your captures to Google Maps, or store them in a Private section of the app for discreet viewing. The office used to be a sad, unimaginative building where you went to work. For many people, it's now wherever they can find Internet access. Work Hard Anywhere is a simple app that makes it easy to find just such a place. It knows of over 2,500 locations in 57 countries, so odds are there's one nearby, and each is user-rated on a host of attributes like Wi-Fi speed and reliability, available power outlets, loudness, parking, prices, and food. Whether you want a shared workspace or a cozy cafe, it can help you find an ideal spot. Snapping great photos with your iPhone is easy. Getting those shots grouped and printed is not. Unless you're using Recently. 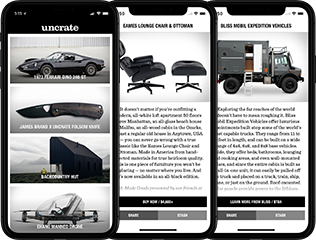 This combination app and service automatically curates 100 of your most recent photos, then has you upload them once a month. When they're received, they're printed into a customized, high-quality 7" x 10" magazine with the date displayed prominently for easy sorting. You can use as few as 50 photos to make a magazine, or if you're a prolific shooter, use the simple editing tools to decide what goes in and what stays out. It's one of the easiest ways to get your latest photos in the palms of your hands. Get from the App Store / $9/mo. Impeccably designed and hopelessly addicting, Monument Valley is the rare game that's both simple and surprisingly deep. Winner of multiple awards, this puzzler places you in a world of incredible isometric architecture, and has you guide a princess through the mazes by twisting, dragging, and otherwise tapping your way to safety. The visuals are stunning, but the audio is equally well-crafted, so be sure to throw on a pair of headphones before you begin. You might not realize it, but In N' Out and Chipotle aren't the only places around with secret menus. Off The Menu can fill you in on otherwise unlisted menu items from eateries both casual and formal across the country. Broken up by city, this comprehensive list of stealth menu items includes descriptions for each dish, letting you order like a local even if you're visiting for the first time from the opposite coast. While there are plenty of apps out there that attempt to turn your mobile device into a graphics tablet, most are buggy, slow, are a pain to setup, and rarely work. Built by former Apple engineers, Astropad transforms your iPhone or iPad into a Retina-screened, professional graphics tablet for your Mac, is easy to setup, and actually works when you need it most. You can even enjoy a zero lag experience working offline, as it works both wirelessly and over USB. This professional tool for photo editing and drawing is also now available as an Apple watch app for customizable shortcuts from your wrist.